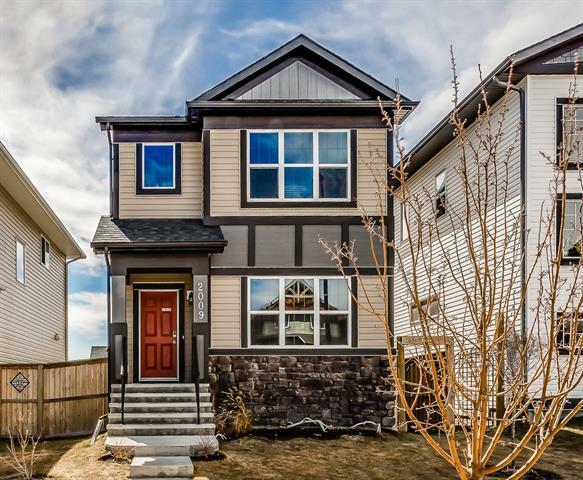 DESCRIPTION You will love this BRAND NEW UPGRADED home with FULLY FENCED YARD AND LANDSCAPING! The full basement and main floor have 9’ ceilings. The main living area features a modern, OPEN concept design and high-quality laminate flooring -- great for living and entertaining. The chef’s kitchen comes with Quartz counter tops, STAINLESS STEEL appliances, White SHAKER cabinets, SOFT-CLOSE doors and drawers, kinetic water dispenser and rear balcony with gas line. The upper floor has 3 bedrooms, 2 bathrooms and laundry area. The master closet is huge. Built by Slokker, each home comes with an attached garage and a full stainless steel appliance package, including a washer/dryer. The home is covered by the Alberta New Home Warranty program. *SHOW HOME HOURS 2-8 Mon-Thurs, Saturday 12-5* Builders reg size =1320 sq.ft/ RMS Size = 1236 sq.ft. QUICK 15 Day Possession is possible, COME ON BY BEFORE IT IS GONE! Home for sale at 33 Reunion Cx Nw Airdrie, Alberts T4B 4J7. 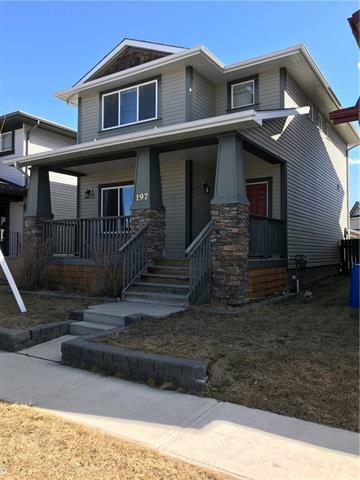 Description: The home at 33 Reunion Cx Nw Airdrie, Alberta T4B 4J7 with the MLS® Number C4228897 is currently listed at $339,900.